After the nappy he produced earlier, Harrison doesn’t really deserve any publicity today, but I did promise to post a pic every day. We were meant to be heading off to Bath today, unfortunately Becky hasn’t been well so we couldn’t go. We will hopefully make it down at the weekend. 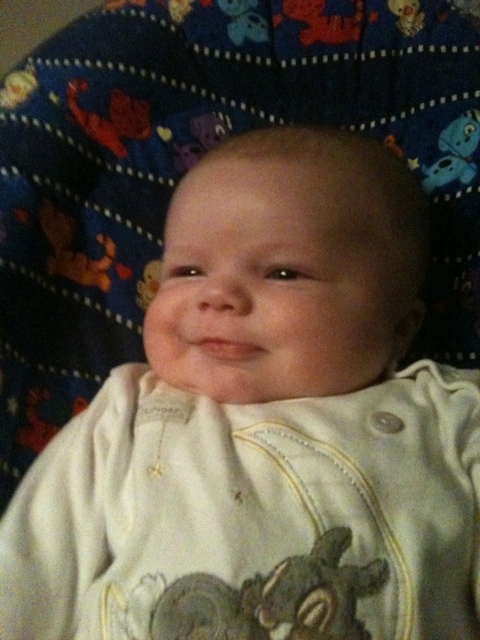 Harrison is now smiling on demand. 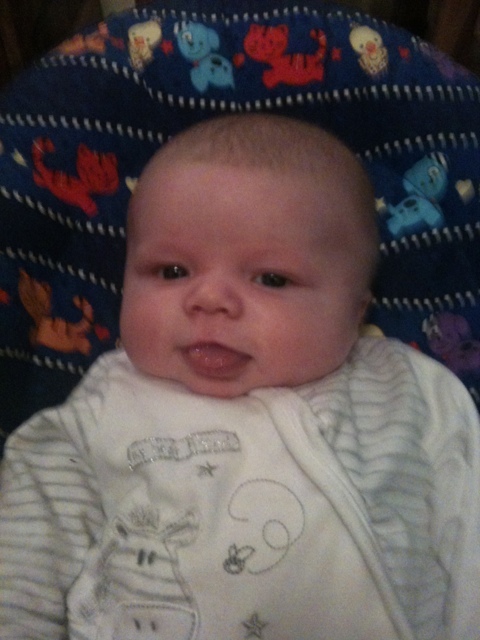 Harrison is ten weeks old today. 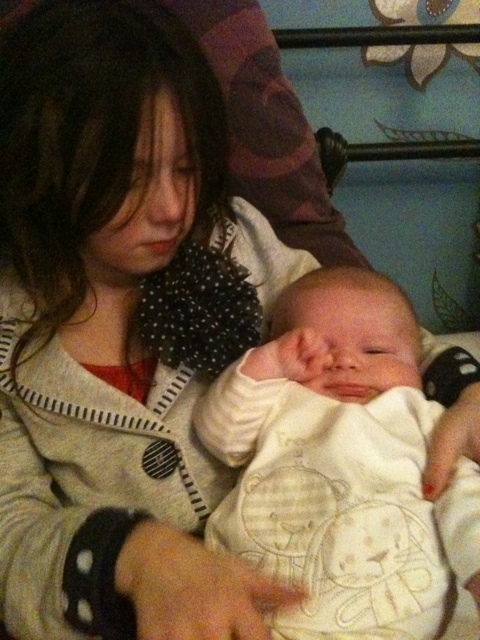 Here’s a picture of him enjoying a cuddle with Lauren. 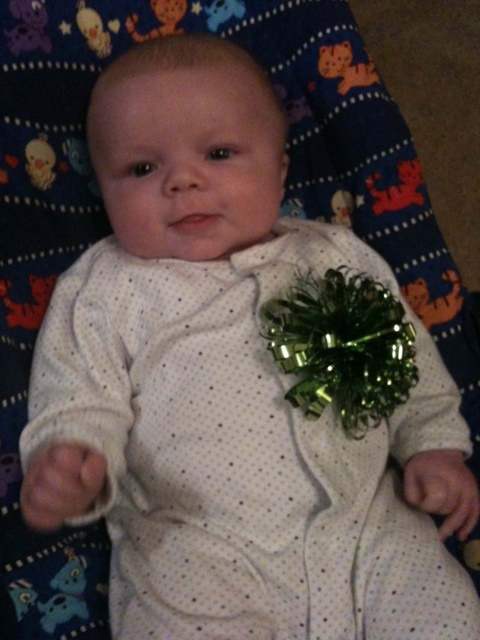 Harrison is our best Christmas pressie, so we stuck a bow on him. We all headed up to Mum’s in Stafford for Xmas Day No 2. It was good to see everyone and exchange gifts and we seem to have come home with a lot more than we arrived with, mainly for Lauren and Harrison. 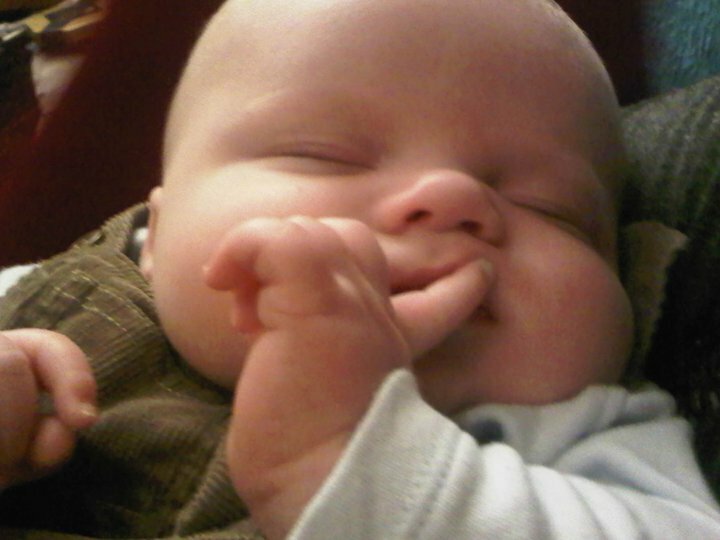 Harrison spent the day perfecting his Dr Evil impression. 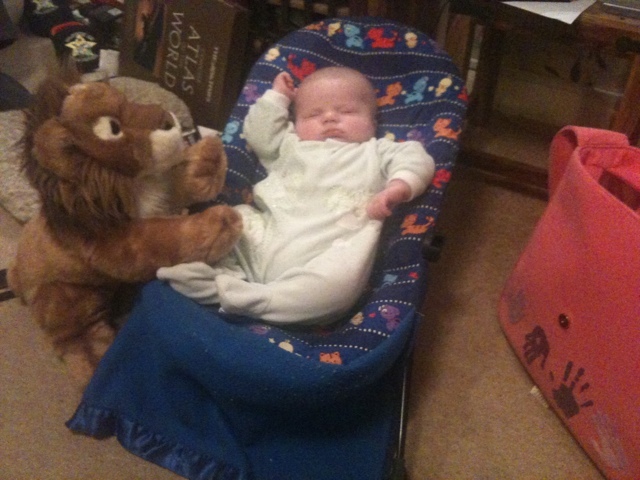 Bec had a lovely cuddly lion as a present, which we have named Aslan. He’s currently standing guard over Harrison. Christmas has pretty much passed Harrison by, next year he will be more aware. 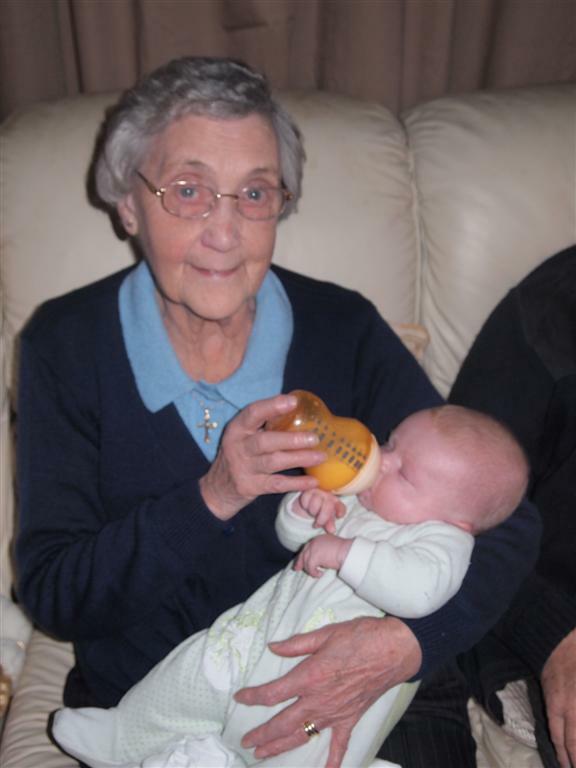 Great Nana has had the chance to feed little one today. 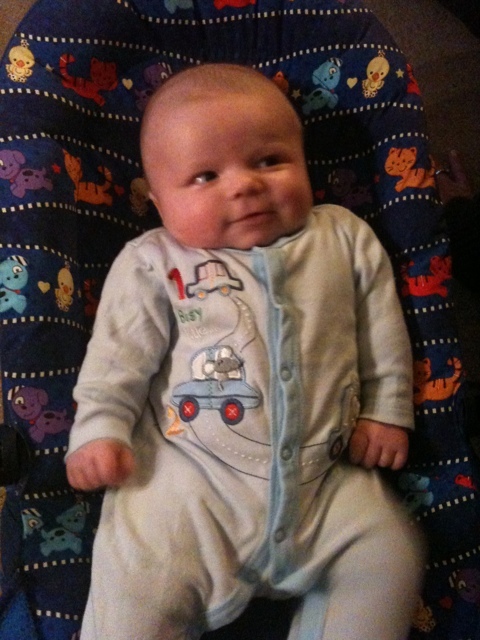 Harrison doesn’t appear to be too excited by his first Christmas Eve. His cold doesn’t seem to be affecting him too badly. He’s currently having a conversation with great Nana.